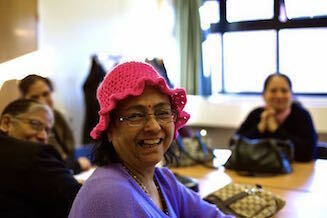 Day centres provide opportunities to make links with the wider community that would not otherwise be possible. “We feel isolated when we are not in touch with the wider community and friends”. For many of our older clients, the feeling of loneliness starts creeping in when they lose their head of the household status. They feel that their opinion has no relevance. They might be living in a house full of family but might still feel lonely. The gap widens when the younger generation do not value their life experiences. Children moving away from home adds further to their isolation and loneliness. The death of a partner exacerbates the feeling of loneliness. One lady said this is what she misses the most: “I don’t have anyone to share my feelings with”. For elderly men isolation and loneliness go hand in hand. Not being able to talk about personal health issues with someone of the same gender in the house causes further loneliness. Language barriers and hate crimes contribute towards loneliness. 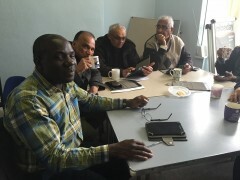 Illiteracy and lack of knowledge of technology also contributes towards social isolation and loneliness among BME communities. AAPNA staff teach their clients how to use technology like the tablets that WaveLength donated so that they can stay in touch with friends and family through Skype and messaging services. For people who struggle to get out and about, technology like this can be a vital way to maintain contact.